Pancakes are a regular feature in our household – they make such a special breakfast for the weekend, and we have them without fail every Sunday. 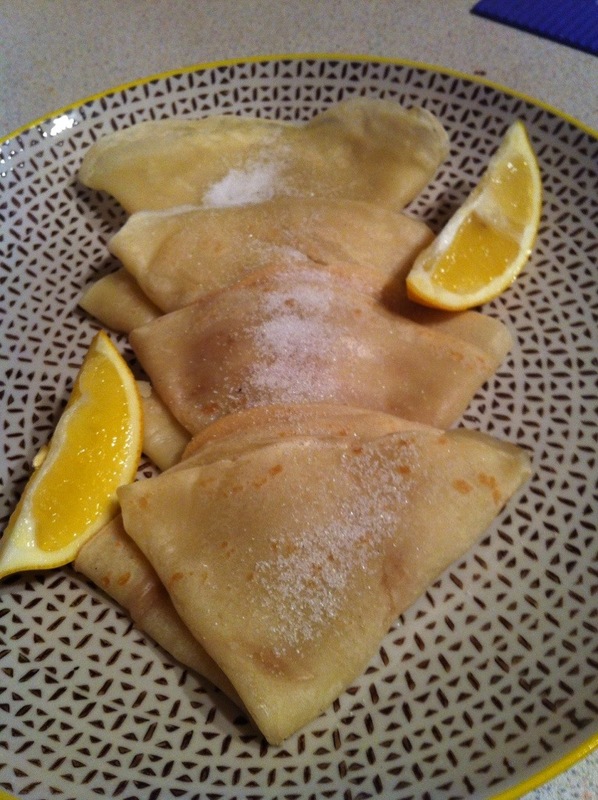 As we can’t cook with eggs, I thought puffy, American style pancakes (nice though they are) were all we could make, not the lacy, thin fillable French version. I hadn’t even considered the possibilities of egg and dairy-free crêpes until my lovely blog buddy Somer pointed me in the right direction! As long as the pan is nice and hot and the mix has been given time to rest, you can produce perfectly acceptable thin and delicate crêpes. 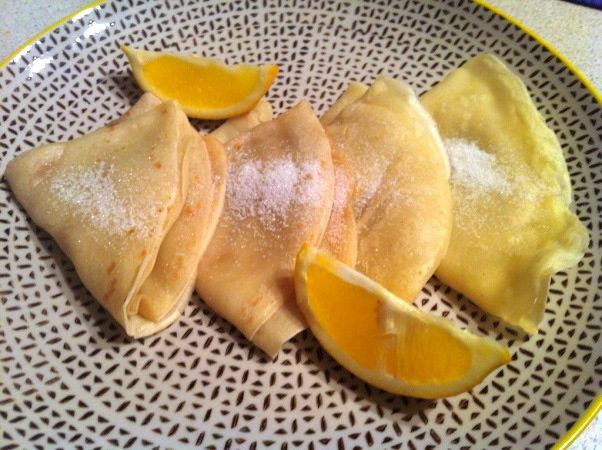 So vegan crêpes are possible – what a revelation! – Whisk together all the ingredients and leave to rest in the fridge. – When ready to cook, whisk until smooth. – Heat a frying pan until hot. Swipe with dairy-free spread or sunflower oil. 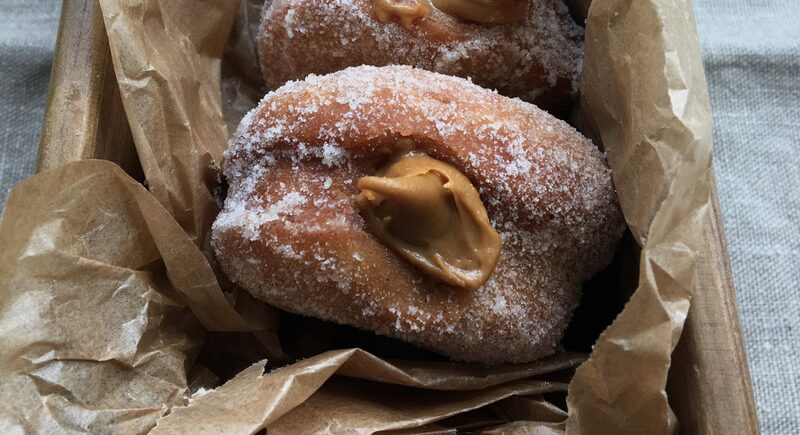 – Pour in a ladleful of batter, swirl around. Once cooked on one side, carefully flip over (I didn’t dare try to toss them) and cook on the other side. – Place on a warmed plate in the oven. – Repeat with the rest of the batter. Looks tasty! I have never made crepes before! I always thought crepes were off-limits for me! I’m so excited to try these out! Could I use soya milk instead of Oat milk? Will get to work on these now!! Just a line to let you know crepes turned out great and were a big hit! Your vegan crêpes look just stunning! I must make them soon! I don’t have any cup measures – do you have metric version of the recipe? I did a bit of googling so is this right?! and the rest as tbsps/tsps? Must get myself some cup measures! !